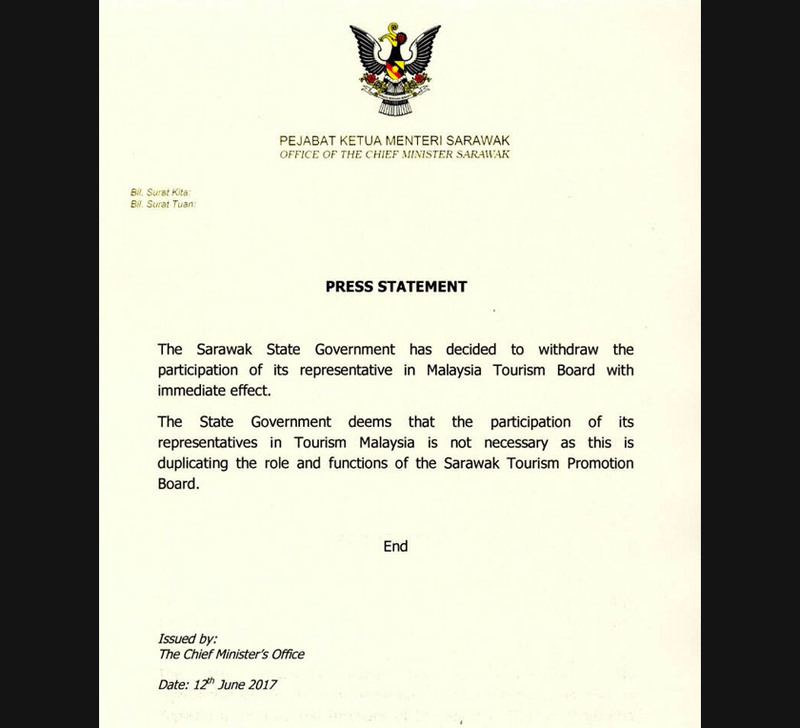 The Sarawak state government has decided to withdraw the participation of its representative in Malaysia Tourism Board. KUALA LUMPUR: The Sarawak state government has withdrawn the participation of its representative in Malaysia Tourism Board with immediate effect. According to a statement released by the Chief Minister’s Office today, the decision was made over the duplication of roles and functions between the state and federal government tourism boards. "The state government deems that the participation of its representative in Tourism Malaysia is not necessary, as (it duplicates) the role and functions of the Sarawak Tourism Promotion Board," the statement reads.